The GUFI MultiBoot CD allows using GUFI from USB Flash drives in instances where a BIOS can not be adjusted to allow booting from the USB drive, or with alternate hard drive installations. The Complete Ubuntu 8.04.1 Software Release Repository DVD Setis available. It is intended for use with all Ubuntu Based Operating systems including Ubuntu, Edubuntu, Kubuntu, Xubuntu, Ubuntu Studio, and any others based on 8.04 or 8.04.1. GUFI 5.2.3 features a full set of desktop and Office applications, and a phenomenal 3 minute installation from either the Live Install & Restoration DVD, or from any GUFI drive installation. BEL SBX 1-5 is a Small Business server based on PCLInuxOS 2007, but using a modified Xfce interface to make a lighter, faster GUI experience for those who come from another server background. It’s been a very busy couple of weeks for GoblinX who has released Premium 2008.2, 2008.2 two CD Set, GoblinX 2.7, 2.7 Repository DVDs, and GoblinX Mega Flash 2008.2. The FreeBDS 7.0 Package Set (repository) contains the complete 32 bit (x86) FreeBSD 7.0 Stable package repository as of Aug 7, 2008. The Keeper is an accordion Style CD/DVD Wallet with Zipper (Holds 24 disks). Great for carrying CD’s or DVD’s in the car, in your briefcase, or just about anywhere. UPDATE: Ubuntu, Kubuntu, Xubuntu, and Ubuntu Server 8.04.1 versions are available. 8.04.1 is an official updated version of 8.04 containing more than 200 updates, as are the Alternate Installation CDs. openSUSE 11.0 Installation DVDs and Live CDs are now available. 11.0 includes more than 200 new features, a redesigned installer that makes openSUSE even easier to install, faster package management, KDE 4, GNOME 2.22, Compiz Fusion, and much more. Linux Mint 5.0 (Elyssa) – Mint’s purpose is to produce an elegant, up to date and comfortable GNU/Linux desktop distribution…and again more than lives up to it’s reputation. 5.0 is based on 4.0 and compatible with Ubuntu Hardy and its repositories. The complete PCLinuxOS 2007 Software Repository on 4 DVDs as of June 9, 2008 for use with all PCLinuxOS 2007 based Operating Systems including Sam Linux, Tiny Me, and others. GUFITM Style USB Flash Drives – Never install an OS again! Zenwalk Live 5.2 GUFI (Live Flash + Live CD) – Hats off to the Zenwalk and Zenwalk Live teams. They have done some really excellent work which has lead to the best performing Live Persistent Flash Install today. With it’s Live Tools Zenwalk Live surpasses even Fedora 9.
Business Edition Linux (BEL) offers Office and Home desktop, and server operating systems. 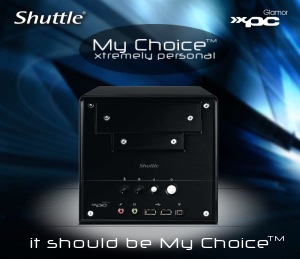 Shuttle Korperate Perfect Cube(KPC), or “My Choice” upgradable kits, are unique, fun, low cost business PC solutions. Shuttle Glamor Series G5 offers a small size, low power consumption, and high performance at a “small business friendly” price. Kingston USB Flash Drives with 5 year warranty are now being offered. Many products are becoming available on these drives as well as CD/DVDs. The Public Software Foundation is helping to bring software to your local library. See the PSF Website for more information, or here to get PSF titles you can donate to your local library after using them yourself… knowing if you ever need the software again you can just check it out. You can also create your own software donations. OpenOffice.org 2.4 (PSF Edition) is a special DVD release featuring version 2.4 for Windows, MAC OSX, Linux, and Solaris, and a Legacy edition for Windows 95/98. Knoppix 5.3.1 (PSF Edition), like all PSF editions, is a “Shelf Ready” package suitable for personal use, or donating to libraries. Fedora 9 (PSF Edition) With each new release Fedora expands technological borders bringing cutting edge technologies into the hands of the general public. Ubuntu 8.04 LTS (PSF Edition). The PSF distributes the 32-bit (x86) Live version of Ubuntu 8.04 LTS (with long term support) because it will run equally well on both 32 and 64 bit PCs.